Named after a former ASUC president, Eshleman Hall housed many student groups over its 47-year history. Over nearly five decades, Eshleman Hall has survived thefts, vandalism, protests and at least five fires. But last week, the building was finally felled by a pair of massive hydraulic metal claws. 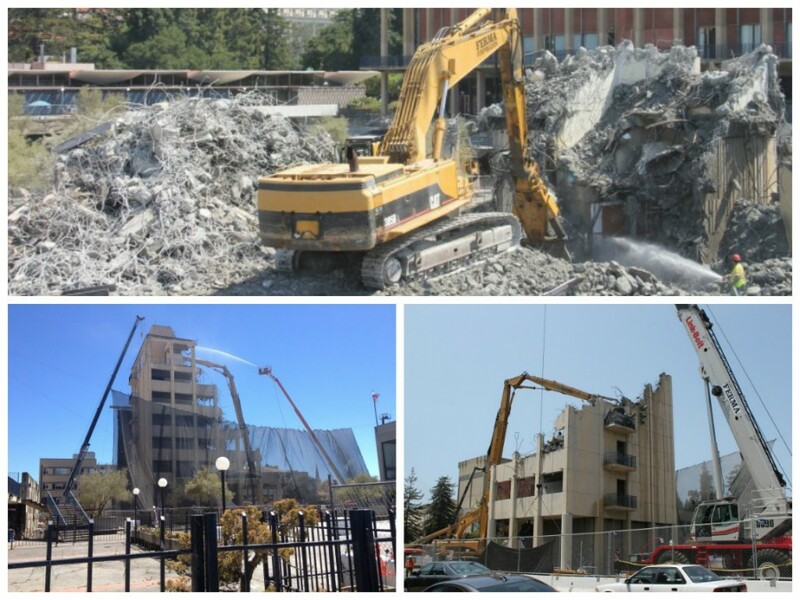 The seven-story building, which housed a variety of UC Berkeley student groups — including the ASUC and The Daily Californian — was gradually demolished over the course of about a month as part of the Lower Sproul Plaza renovation project, which aims to rejuvenate the plaza as a hub for student life on campus. The project is expected to continue through 2015 and will replace Eshleman Hall with a larger building, among other improvements. 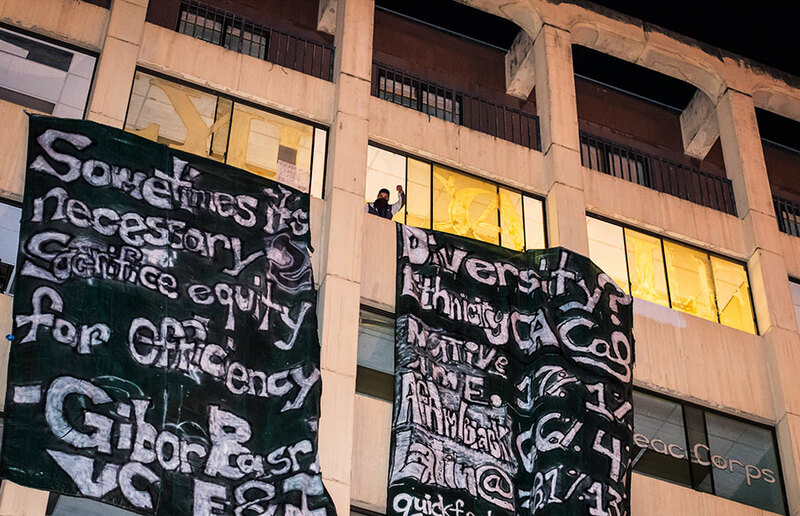 But the memory of Eshleman Hall will be preserved through its colorful history as both a magnet for crime and protests and a hub for student groups that helped define the UC Berkeley campus experience. Eshleman Hall was dedicated as a building for student offices on Sept. 18, 1965, after two years and more than $1 million in construction, at a time when the Free Speech Movement on campus was kicking into gear. Issues surrounding the building’s name initially caused confusion on campus. 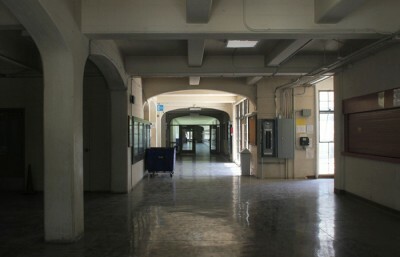 The building was originally referred to as the Student Office Building — or S.O.B. for short — but university officials hoped to name the building after John Morton Eshleman, an early ASUC president who went on to become lieutenant governor of California. However, another building on campus was already named after Eshleman. That building was renamed Moses Hall, the name it still uses today, and the newly constructed building was named Eshleman Hall. The new Eshleman was beset by theft, vandalism and frequent fires over its 47-year history. 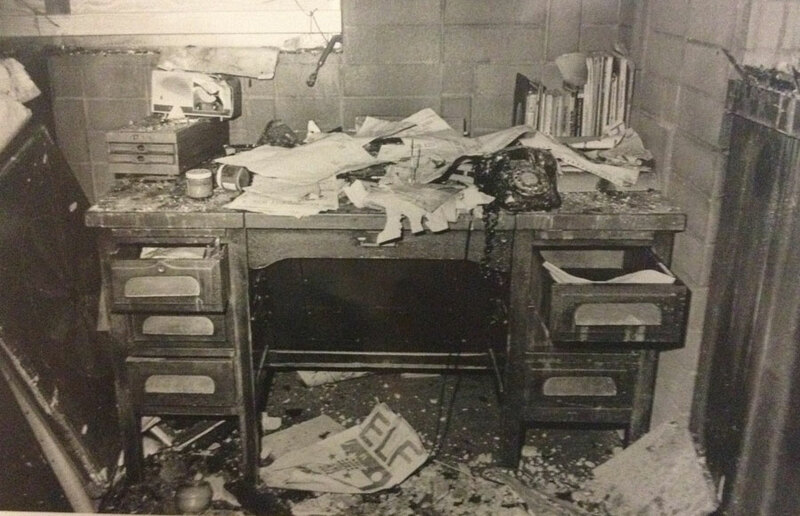 Two fires in 1975 were attributed to arson, damaging the ASUC Senate chambers and several bathrooms at a total cost of about $40,000. In November 1975, a fire ravaged Eshleman Hall, costing the student groups and ASUC about $40,000’s worth of damage. 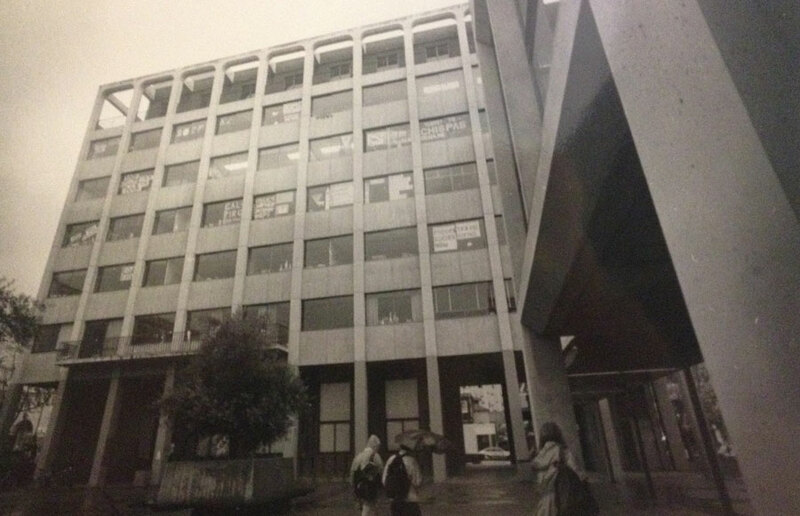 A 1983 fire gutted the ASUC Senate chambers and critically injured a man inside at the time. The chambers were later remodeled at a cost of $106,000. Another fire struck the basement of Eshleman in 1989. But arguably, the most grisly incident in Eshleman’s history was the 1992 death of UC Berkeley student Grace Asuncion, who was found dead by a janitor, apparently stabbed to death, in the offices of the Pilipino American Alliance on Eshleman’s fifth floor. Asuncion’s death prompted improvements in building security, and her parents settled a $1 million lawsuit against the UC Board of Regents in 1996, but her killer was never found. 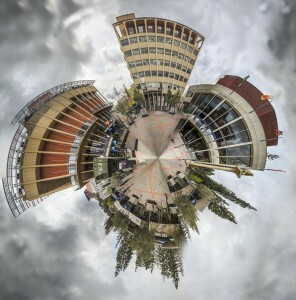 But although Eshleman was a site of occasional crimes, the building was best known as a hub for a variety of student groups throughout its history, including the Daily Cal from 1965 to 1971 and 1992 to 2012. 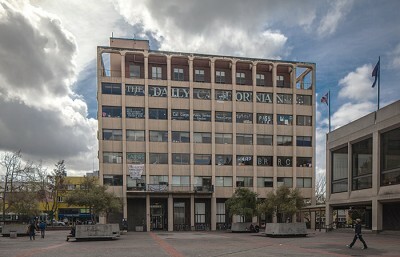 The building, owned and operated by the ASUC, housed more than 200 student groups. More recently, a protest occurred in Eshleman on Nov. 27, 2012, after the building was mostly vacant for demolition. About six students occupied the building as part of a campaign regarding the campus’s multicultural retention center and minority enrollment. The Lower Sproul development plan, green-lighted by student approval of the B.E.A.R.S. Initiative in 2010, will be financed largely by additional student fees. Because of concerns with Eshleman’s “poor” seismic rating, it was decided the building would be demolished rather than go through expensive upgrades. In addition to building to replace Eshleman, the $223 million project will also include renovations and improvements to the Martin Luther King Jr. Student Union and the Cesar Chavez Student Center. A previous version of this article may have implied that the student murdered in Eshleman Hall was stabbed by the janitor who found her body. In fact, the victim was found by the janitor a few hours after her death, apparently stabbed to death.